Hayley thought her relationship with her husband had been a fairytale. They had been together for more than nine years. They had traveled, enjoyed hiking and doing things together in the outdoors, had just finished renovating a home and had just had a baby. Hayley was very much in love. So when her husband's demeanor changed and he then casually told her that he didn't love her anymore, her whole world stopped. But, as shocking as this story is, ultimately it’s a story of hope and one woman's strength. This is Part 1 of a three-part series with Hayley. In this episode, Hayley shares the start of her experience with sudden wife abandonment. Find out more, and buy tickets for The Pod Squad podcasting workshop HERE. Listen to the episode with Ashlene here: 115 - Sudden wife abandonment, with Ashlene Marshall. 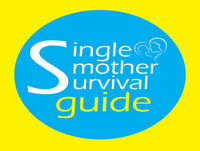 To contact Julia, email: julia@singlemothersurvivalguide.com. For information about the single parent mentoring programs available with Julia, visit Single Mother Survival Guide Mentoring and E-Courses. Book in for your complimentary 30 minute Clarity Call with Julia here. Visit us at Single Mother Survival Guide. Or connect with Single Mother Survival Guide on Facebook, Instagram, Twitter, or Pinterest.